Driving south from Taos down NM State Road 68, you come across a tiny little place called Embudo. Don't blink because you might miss it, and you don't want to. The area is pretty and the drive is a nice one, since it meanders alongside the Rio Grande River. There are some nice viewpoints and some interesting geological spots but for me the most interesting was this old Gas Museum on the side of the road. 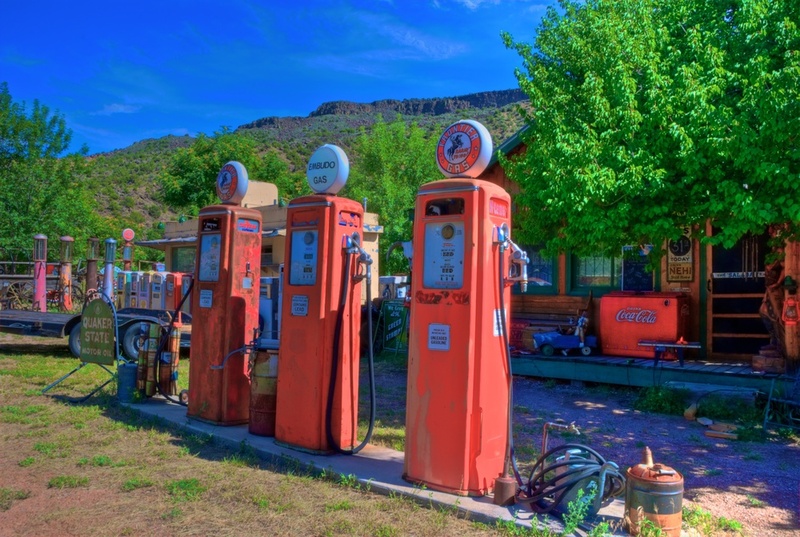 The owner is a retired Los Alamos scientist and he has an amazing collection of old gas pumps, signs, cars and other bits of Americana. It was like being in the 1950's, and I was half expecting Marty McFly to show up in the DeLorean.